With one foot directly behind the other, place one elbow on the plate and lean sideways. Keep your head, torso and legs straight while pushing your shoulder down and tightening your torso simultaneously. To add variation, push your hips upward at the same time. 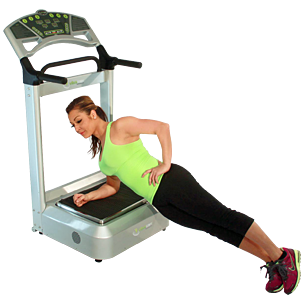 This exercise works your lateral abdomen.